If your Poly Processing tank has a chemical leak, do a quick root cause analysis to determine if you need to call our field service team. If so, contact us immediately so that we can address the issue before any serious damage occurs. Poly Processing cross-linked polyethylene tanks have unbeatable reliability and durability. 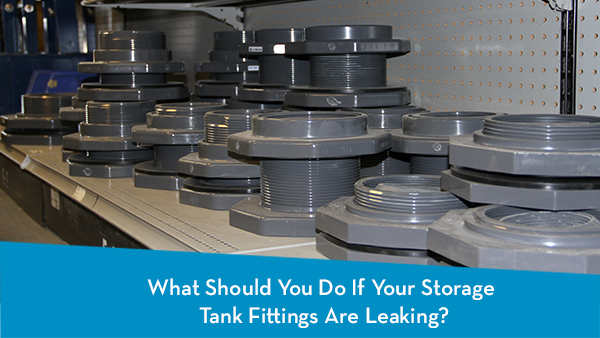 You can effectively prevent leaking from tank fittings by taking the proper precautions. T o stop a leak, the root cause of the leak must first be determined. In nearly all cases, the cause is linked to improper installation of the tank fittings. 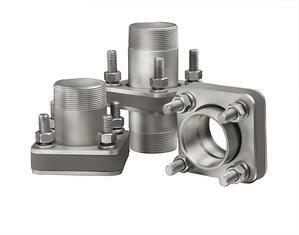 There are five common problems that can cause fittings to leak and three of them are related to improper installation. Rigid plumbing restricts the natural expansion and contraction of the tank. This can cause stress and could lead to leaks. Plumbing that’s not supported properly could also cause stress on connection points and increase the potential for leaks. When threaded PVC accessories are over-tightened, the threads can become misaligned, compromising the seal and allowing leaks. Like anything else made of rubber, and especially with exposure to chemicals, gaskets can eventually become brittle and may need to be replaced. Regular tank inspections will pinpoint weak and brittle fittings that should be addressed by a qualified service member before a leak develops. Over time, fittings can sometimes become loose. This is an issue that’s easy to resolve without calling our field service team. Check the torque on the nuts and bolts, and re-tighten them if necessary. Refer to the torque settings in our Installation Guide for correct torque ranges. In addition to these considerations, you can minimize chemical exposure by adding a splash guard or shield. You should also install proper secondary tank containment to ensure that any leaked chemical can’t come in contact with equipment, personnel or the environment. If your fittings or plumbing need to be replaced, don’t try to do it yourself. Call a Poly Processing Certified Field Service Technician or qualified pipefitter to replace your leaking fittings and make sure the installation is done properly. Contact the Poly Processing Field Service Team for a quick fix over the phone, or to arrange for an expert to come onsite. We’ll make sure your tank gets the right fix for a long-term operation that is safe and reliable.